I’ve only posted two peanut butter recipes in almost two months! Since that definitely doesn’t reflect the amount of peanut butter consumed in our house, I thought I should share these Reese’s Pieces peanut butter cookie cheesecake bars with you soon! Just like cookie bars are easier than cookies, cheesecake bars are much easier to assemble and bake than a regular cheesecake. My way to bake! A sweet layer of creamy cheesecake is sandwiched between two layers of peanut butter oatmeal cookies. (Yes, I have a thing about adding oats to my cookies. I just like the chewiness and nuttiness that oats add.) 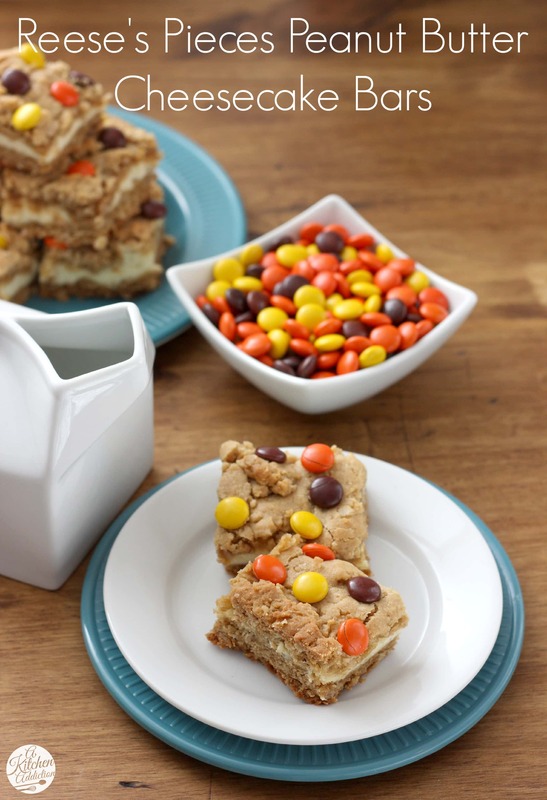 To top off these peanut buttery bars, a generous amount of Reese’s Pieces are sprinkled over the top. I’m usually a fan of using peanut butter cups instead of the pieces, but I didn’t want the bars to become too rich and heavy. The sweetness from the pieces balances out the rich peanut butter cookies and pairs perfectly with the cheesecake layer. The finishing touch to your new favorite way to enjoy cheesecake! Preheat oven to 325. Lightly spray an 8x8 inch or 9x9 inch baking dish with non-stick cooking spray. In the bowl of a stand mixer or with an electric mixer, cream together butter, peanut butter, sugar, and brown sugar. Add in egg and vanilla extract. Beat until creamy. In a separate bowl, whisk together flours, baking soda, baking powder, and salt. Add to creamed butter mixture and beat until combined. Stir in oats. Prepare cheesecake layer by beating cream cheese, egg, sugar, vanilla extract, and salt until creamy. Press half of cookie dough into the bottom of the prepared baking dish. Spread cream cheese mixture over the top. Drop remaining cookie dough evenly over the top. Sprinkle with Reese's pieces. Bake for 20 minutes or until edges are golden brown and center is set. Serve warm or cooled. Store leftovers in the refrigerator. I love peanut butter and Reese’s desserts, but the addition of the cheesecake layer takes these bars over the top!Can’t wait to make a batch! Maybe I should whip up a batch for breakfast! I have a thing with adding oats to my cookies too…I love the chewiness they add! These bars look delicious…you can never have too many recipes for peanut butter desserts! Oh my, these just look fabulous! I love Reese’s Pieces and with cheesecake, yum! Saving this one for my guy’s birthday, he will LOVE them! This sounds like the BEST combo ever. Reeses pieces. PB cookie AND cheesecake. Lovely creation Jessica! I love just adding Reeses into my PB cookie. Looks like i’m gonna have to make this realllll soon. Pinned 🙂 Thanks for sharing! Yes please! I will take 20 to go. Or to have at my desk or to have for dinner…. These sound so good! I love that you used Reese’s Pieces to balance out the richness! I adore cheesecake and peanut butter so this looks right up my alley! YUM!! I so love this! Peanut butter and me, we’re BFFs. I could bake with it every day! Adding oats to cookies and bars is one of my favorite ways to have them too. 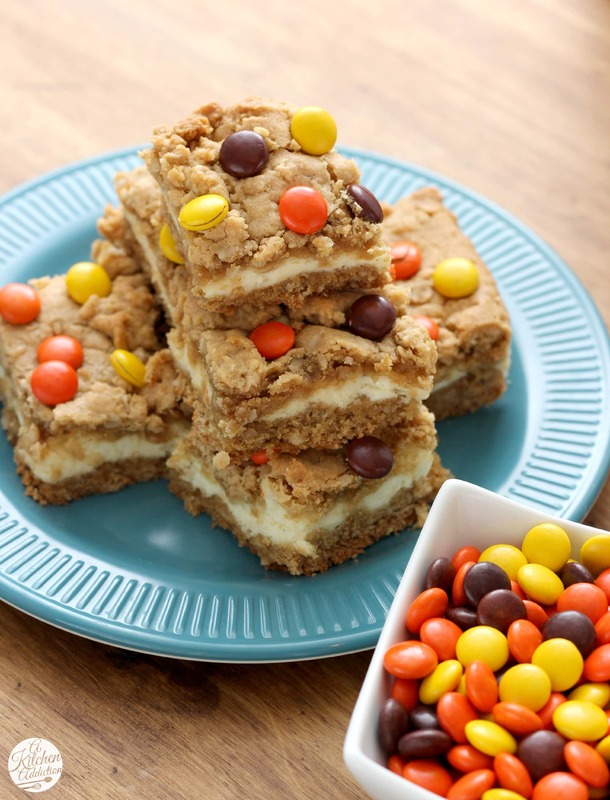 I love Reese’s Pieces and cheesecake, so these bars look like a dream come true! Everything about this is majorly good stuff. Love the cheesecake layer – yum yum yum!! ummm, PINNED! these look so good. SO much peanut butter goodness! I would have no problem polishing off 12 of these bars. I love that you added oats to these cookie bars. Makes everything a little more hearty and healthy? Means you can have more than one right? I need this for a snack, like NOW! Delish! These look incredible! I love reeses pieces – probably even more than reeses! 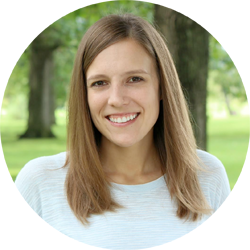 Oh my gosh, Jessica, seriously. These bars are like my spirit animal. This is pretty much all things I love in one perfect little bar. Fantastic! Oh, I so love this idea! Looks delicious. Cookies AND cheesecake AND Reese’s Pieces? Well, twist my arm… 🙂 these look delicious, Jessica! 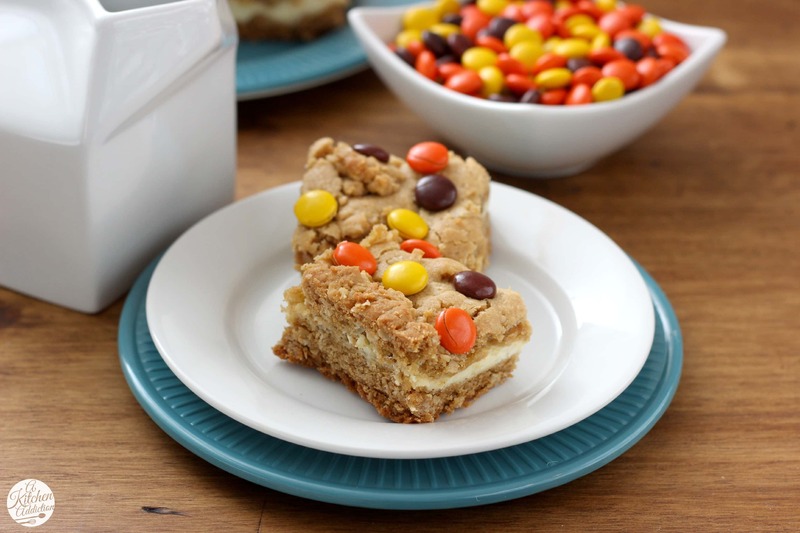 Mmmmm peanut butter….with cookies, cheesecake and Reese’s pieces! I can hardly stand all the yumminess packed into one little bar! Pinned. I don’t think you could have made these bars more delicious! OOh, I love cheesecake bars and the addition of reese’s pieces in these make them even more delicious. WANT!